Fighting “fast fashion” while making fashion-forward garments from recycled materials, England’s Study 34 is taking the fashion world by storm. Founded by Eleanor O’Neill, the tiny sustainable brand prides itself on creating original and ethically made knitwear. Made from a mix of recycled and leftover yarns, Study 34 has just celebrated the launch another line, just in time for Autumn/Winter. Study 34 may be making waves in the sustainable fashion world, but the studio consists of just Eleanor O’Neill, who hand makes all of the garments in her Newcastle studio. O’Neill sources leftover yarn in bulk from the fashion industry, which otherwise likely be not enough for larger manufacturers to complete a line of garments with, and therefore throw away. RELATED | Appalatch Launches Custom-Fit Sweaters, Ethically Made in the U.S.A.
With these remnants, O’Neill is often able to offer hand-knit luxury yarns, like cashmere and silk, at price tags that may be higher that high street, but lower than mass made luxury goods. (A ribbed crew neck sweater from the new line will set you back about $300). With the price in mind, Study 34 is also geared to make pieces that can last a lifetime, transcending fast fashion. With the Autumn/Winter line newly launched, O’Neill hopes to have more time for a new side project, which will use 100 percent recycled yarns in the whole garment, making small batch sweaters that vary slightly but are in line with the main collection. Fighting "fast fashion" while making fashion-forward garments from recycled materials, England�s Study 34 is taking the fashion world by storm. 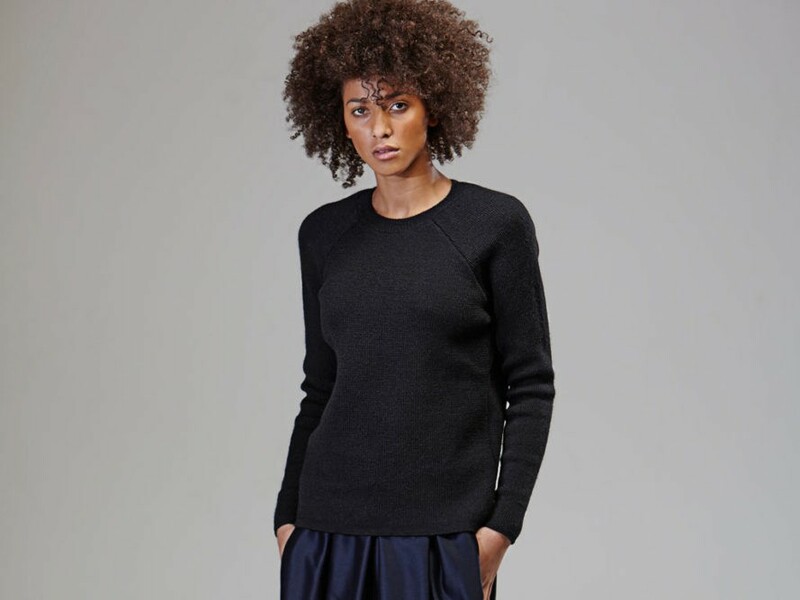 Founded by Eleanor O�Neill, the tiny sustainable brand prides itself on creating original and ethically made knitwear. Made from a mix of recycled and leftover yarns, Study 34 has just celebrated the launch another line, just in time for Autumn/Winter.